We are always looking for Investors to help fund our slate of films. Entry level for investment starts at £5,000, for which you gain a percentage of potential profits. However we are also looking for product placement so if you have something you would like to advertise that we can incorporate in our films. This starts at £1,000. Sponsoring the film allows if you follow certain criteria for you to claim this expense against tax - more details by enquiry. 2. Some profile actors, who will always be in our casts and help to sell the film. 3. We have incentives and can offer internships and assistant crew placement. 4. We can offer a small role subject to suitability. 5. We can offer invitations to red carpet events, festivals, wrap party, lunch with cast members, behind the scenes tours to other television and theatre events, mentoring by various professionals, exclusive theatre tickets, etc etc. 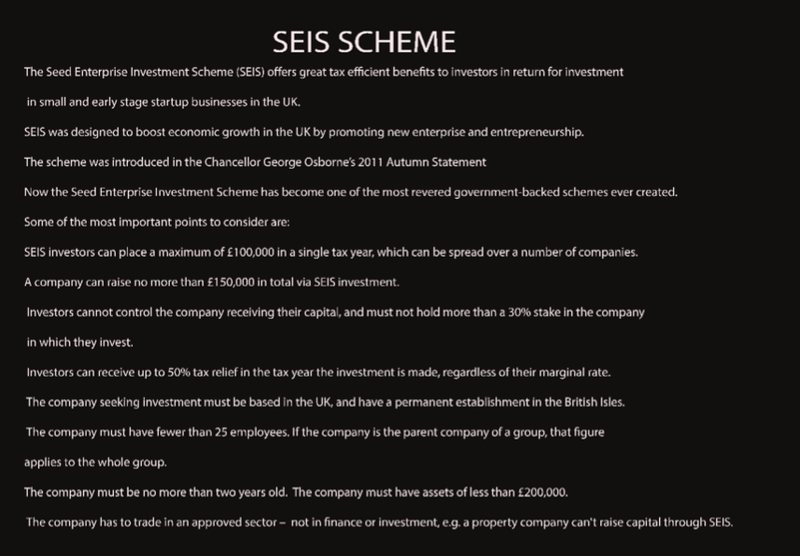 6.Tax incentives: Under the SEIS and EIS scheme run by the UK government you may get 30-50 % allowance back on your investment against tax. Your own Accountants can explain this to you. 125% return first out plus further percentage of profits over three years if there are any. 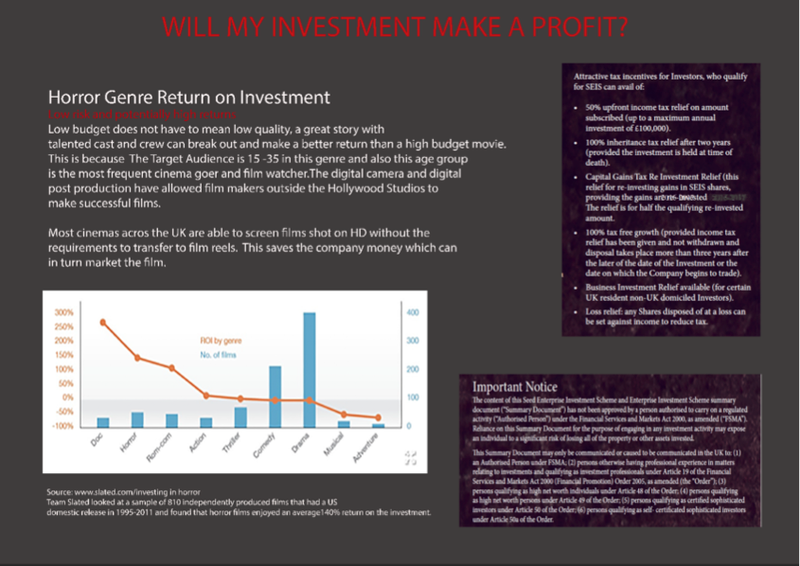 If the film fails the remaining £2,500 loss can be claimed against net income the following year. So your risk on £5,000 is a potential loss of say £700 or a potential GAIN including repayment of initial stakeover 3 years is £8,750. This is a speculative investment so please seek professional financial advice. Investing in films involves risks, including loss of capital, liquidity, lack of dividends and dilution, and it should be done only as part of a diversified portfolio. Film Investment is targeted at investors who are sufficiently sophisticated to understand these risks and make their own investment decisions. Tax treatment depends on individual circumstances and may be subject to change in future. Please do contact us with your interest: jsanger@luminofilms.co.uk and we will send a 20 plus page Investment Memorandum on either company, which will also specify things like cast, crew, locations returns, risks, etc. From time to time we use Crowdfunding to raise amounts for specific films. This is not the same as investment and is a type of donation, starting at £5. Crowdfunding is a democratic way to support the film industry. You will be credited and thanked on the film if you give a substantial donation of £500 or more. However each and every donation is greatly valued. Also you can be part of our success and depending on the level of your donation be invited to premier red carpet screenings and promotional events where you may meet profile actors and join in the glamourous side of film life.